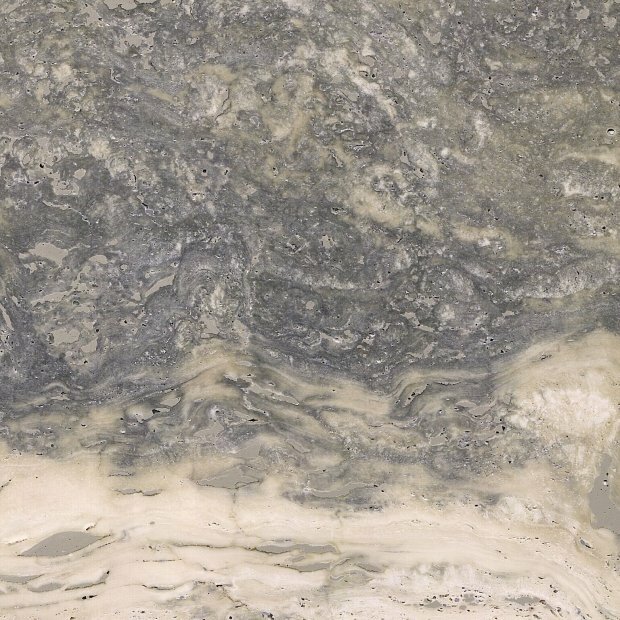 The grey travertine from Italy has got, according to the cutting direction, a cloudy or a linear structure. The material is particularly suitable for large-area applications, in- and partially outdoors. 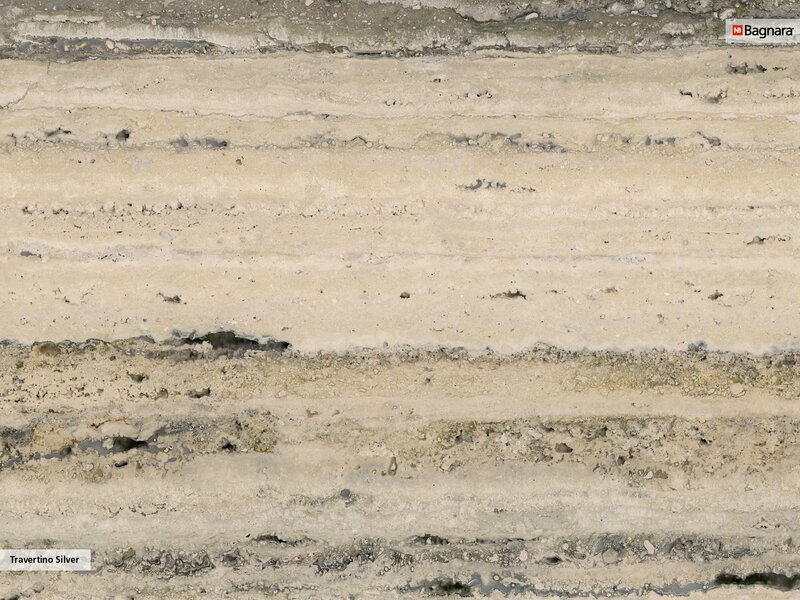 Travertine is a member of the limestone family and is a sedimentary rock with continental origin. 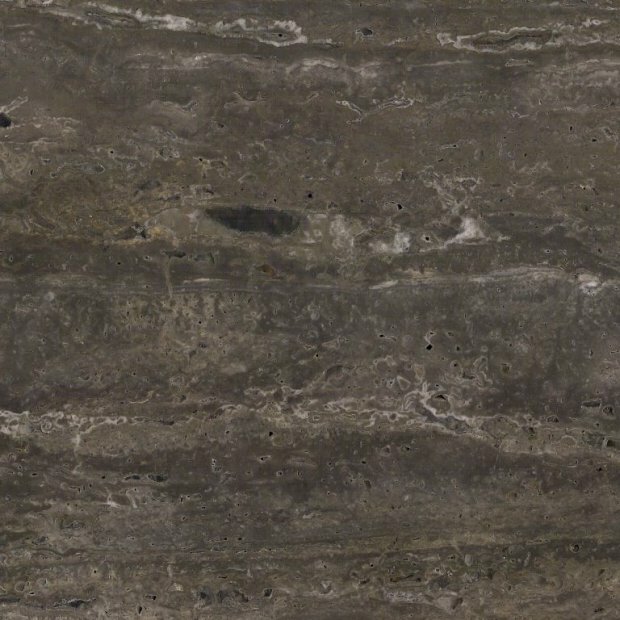 Travertine is a mono-mineral rock, i.e. the material consists of only one mineral. Respectively, the primary component is calcite. It can contain also clay minerals, hematite, limonite and quartz. 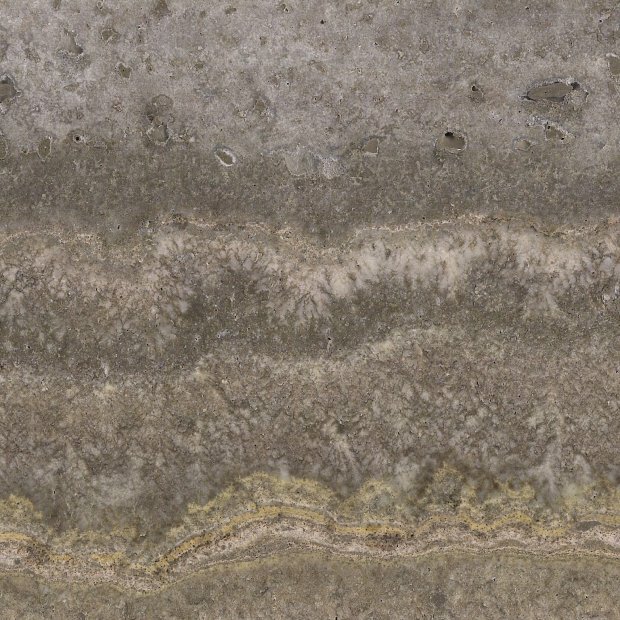 The color of travertine varies according to the contained minerals or organic admixtures as well as from the site. 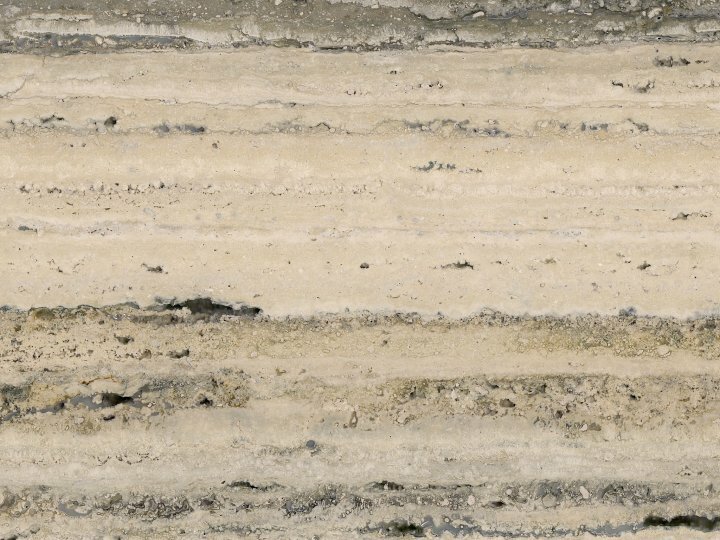 Travertine is frequently yellow, beige to brown, white or grey. Thanks to its low degree of hardness, travertine is easy to process and particularly suitable for indoor applications.